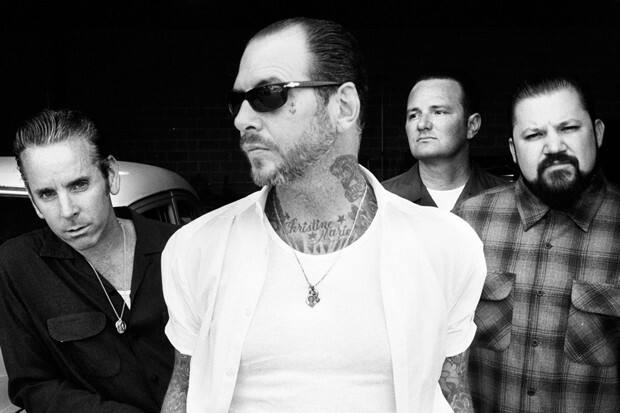 Social Distortion still loves the thrill of touring. Catch them at Midtown Ballroom 7/8. "It still gives me a thrill, man, ya know," Mike Ness, lead singer of Social Distortion says of touring. "I obviously still love it, I wouldn't have been doing it this long if I didn't. It's hard sometimes, it's challenging. It seems like this schedule we're on now would be hard for a 25-year-old. It's trying to balance a little more now because you have to have time to recharge. Like your computer needs to be recharged and rebooted, and that's a machine." Fans of punk-meets-rockabilly icons Social Distortion have no complaints about the fact that Ness still loves touring, even at 56 years old. Even if you haven't been to a Social D show, odds are you recognize the band's famed dancing skeleton emblem, emblazoned across torn-up leather jackets and the bottom of skateboard decks for decades. Social Distortion sits at a level only certain other bands reach in their careers — that of cultural icon, or rather, counter-culture icon. 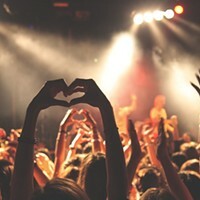 Like The Misfits, Bad Religion and Black Flag, certain bands within the broader rock genre have found a distinct and dedicated following that loves to showcase its adoration. Long-time "Social D" fans have never been shy when it comes to brandishing the band's logo, icons, songs and memorabilia. A simple search on Google or Pinterest reveals an endless slew of Social Distortion tattoos — the most permanent form of band love. "I think the one I like the most, someone had taken my gold-topped guitar and did it on their full side torso. It looked really bitchin.' It had the Orange County logo on it," Ness says. Social Distortion released its last studio album in 2011. Ever since, fans have been eagerly anticipating new music from the band. "We're a huge national and international touring act. 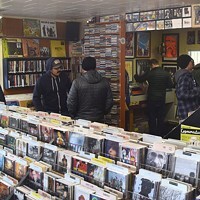 People always go, 'Why does it take so long between records?' The tour cycle for a new album is at the minimum three years, and after three years you just want to come home and do life for a while." Right after this summer tour, Social Distortion jumps back on the road for a lengthy fall tour. Ness says he looks forward to January when he can get into isolation mode and take the 60 or 70 ideas he has and whittle them down. He'll see which songs fit and which don't—and then he'll finish the ones that do. "Every now and again it's nice to go back to the basics, simple things," Ness says. "I don't want to give away the whole direction of the next record, but it's not going to be the same record people are expecting. I'm 56, it might not be a mellow record. It's not going to be a sit down and barbeque kind of record." The last time Social Distortion came to Bend, the band played at the Century Center with opener Nicki Lane, an incredible outlaw country singer-songwriter. This time around, Social Distortion brings along Philadelphia-based piano-rockers Low Cut Connie, whose latest album, "Dirty Pictures (Part 2)," recently made it onto Rolling Stone magazine's 50 Best Albums of the Year So Far. "We do have a say in the bands that open for us," Ness says. "We like to give them a bigger crowd, and I think our crowd is a music-lover crowd. We try to find bands that have some things in common with us, but aren't trying to be us. Usually management will send me links and I listen to it. You can't always tell by listening to a record, but it's working really well with both Low Cut Connie and Aaron Lee Tasjan." Low Cut Connie gets showered with praise from Rolling Stone to Barack Obama. See them open for Social Distortion. Low Cut Connie delivers a high-energy performance with lead singer and pianist Adam Weiner at the keys. 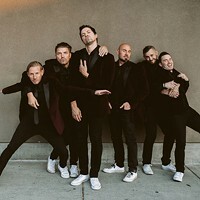 The band has great word of mouth, having received love from Rolling Stone, NPR Music and former President Barack Obama. Weiner himself draws comparisons to Elton John. Before forming Low Cut Connie, Weiner played piano at piano bars, gay bars, ballet classes and cabaret venues. "When I was five years old, I started plinking and plunking around, but mostly just climbing on the furniture," Weiner recalls. "It was a nice black piano that was cool to climb on and I'm still doing that today. I made the first Low Cut Connie album as kind of a side project and really got into my comfort zone on that first album. People really responded to it, and now we carry a 400- pound piano to every show." The band's name refers to a waitress Weiner once met at a diner in southern New Jersey. As a songwriter, Weiner likes to use his music to tells stories about everyday people. Touring as much as they do gives Weiner plenty of opportunities to meet people all over the world. 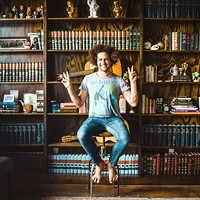 He finds real-life experience more interesting than fiction, and many of the people he meets at shows, restaurants, hotels and bars find their way into the band's songs. "I have a very voracious appetite for performing. I like changing the molecules in the room. I get the itch to do that a much as possible," Weiner says. So far this summer, Weiner has gotten many chances to feed his appetite for performing while being on tour with Social Distortion. 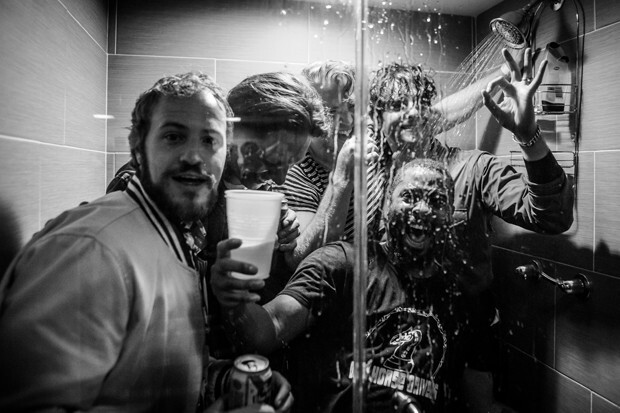 He appreciates the mentorship that a touring band like Social D can bring to Low Cut Connie. "Their fans and the band have been great," Weiner says. "We're not exactly the same genre as them, but you don't want your appetizer to have the same flavor as your entree. The fans have embraced us, and the band, Social Distortion, they really appreciate that. They hand picked us for this tour. Mike Ness said Neil Young took them out on a long tour and it brought them to another level, so he's trying to spread the love to us."